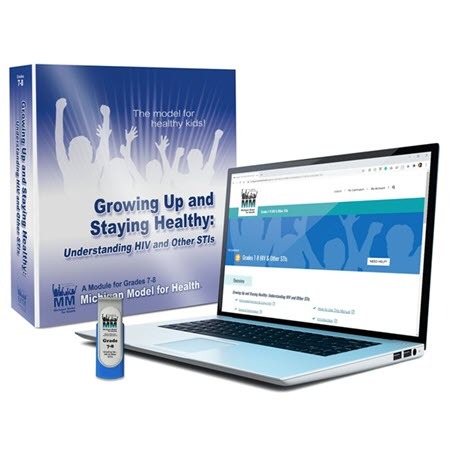 Growing Up and Staying Healthy: Understanding HIV and Other STIs - Michigan Model for Health teaching module for grades 7 - 8. Teaches students the knowledge and skills they need to avoid sexual behaviors that can damage their health and prevent them from reaching their full potential. There are 10 lessons and a Teacher Resource flash drive is included. Support materials purchased separately.